As the photograph shows, many Mayfield men belonged to the Free Gardeners one hundred years ago. This had nothing to do with growing perfect chrysanthemums or prize marrows or in fact with any sort of gardening. This was a benefit society with similarities to the Freemasons, the Oddfellows and the Royal & Ancient Order of Buffaloes. As there were no state social security benefits for unemployment or sickness then (these did not arrive until the 1946 National Insurance Act), each member would pay one penny a week into a fund from which small payments could be made to members who, due to accident or illness, could not work. 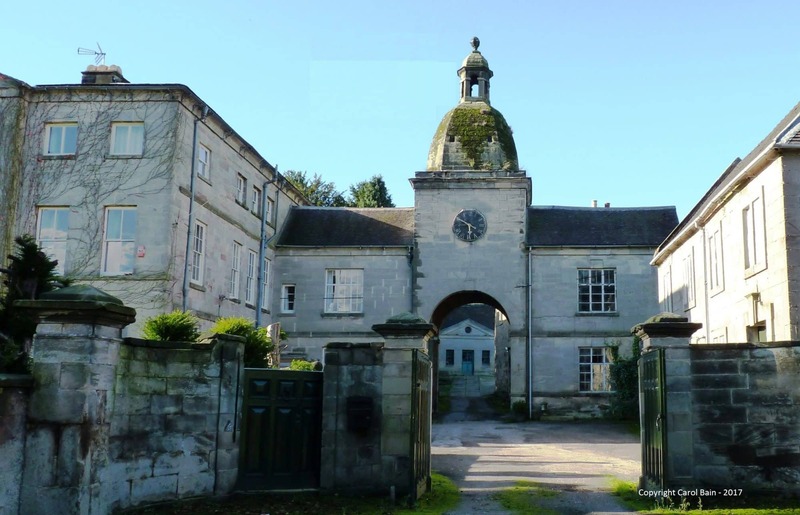 The Mayfield Lodge of the Ancient Order of Free Gardeners had a Master, two Wardens, a Chaplain, and Inside and Outside Tylers (door-keepers responsible for security – as this was a secret society). There were three degrees of membership: Apprenticeship (based on Adam – the very first gardener), Journeyman (based on Noah) and Master Gardener (based on King Solomon). It also bears a monochrome picture, six inches wide by seven inches high, printed on silk and edged in gold thread. This shows an abundance of biblical references: Adam and Eve, the Dove of Peace, the Virgin Mary with the Baby Jesus on her lap and above the tree (the Tree of Knowledge?) appears the all-seeing Eye of God. The figure of Justice is also shown holding scales and a sword. The emblems on the shield depicted in the centre include the Lamb of God, a beehive representing hard work and industry, two angel-like figures and, on the boss, the letters ‘A’ for Adam, ‘N’ for Noah, ‘S’ for Solomon and ‘P’ for the River Pison that ran through the Garden of Eden. Bert Willshaw was born in 1892, the second son of Thomas and Elizabeth Willshaw. He lived at Pear Tree Cottage, Middle Mayfield and, like his father and brothers, was a craftsman bricklayer. He served in the Royal Engineers in World War 1 and was wounded but survived and lived until he was 69. His two brothers, John (Gordon Highlanders) and Joseph (West Riding Regiment) both lost their lives in the Great War. John was 25, Joe was just 19. Their names appear on Mayfield’s War Memorial. Mayfield Heritage Group is very grateful to Mr Patrick Galliford, Bert Willshaw’s grandson, for his kindness and generosity in donating to us this superb piece of old Mayfield.